Note: This is a text of a speech prepared by Ambassador Arundhati Ghose to be delivered to senior scientists from various Indian scientific establishments at the NIAS-DST Training Programme on “Policy for Science and Science for Policies” held at NIAS, Bangalore on November 19, 2015. I intend to start with some general comments, to be followed by an overview of the geopolitical and scientific context in which the CTBT was proposed and supported. I will then try and give you an idea of the substantive interactions with the DAE on specific Articles of the Treaty and finally, my own conclusions drawn from my experiences of twenty years ago. It is a truism that the robustness of the scientific base of a country proportionately increases its international profile, which in turn empowers its foreign policy at both the bilateral and multilateral levels. These strengths are, however, dependent on the degree of closeness of the acquaintance, exchanges and indeed, coordination between the foreign policy establishment and the scientific community, predicated on an awareness of the need for such collaboration in the national interest. At the multilateral level, with which we are concerned today, the need of such interaction is felt across a wide range of issues- e.g. agriculture and climate change. In the area of security policy-and here I refer to ‘hard’ security- all policy and consequent negotiations have seen a major and in some cases a defining role for scientific inputs; this has been so in negotiations on WMD-nuclear, chemical and biological and toxic weapons-, in space and cyber security, all as a part of military strategy. In India, while MEA has negotiated several Treaties in consultation not only with the relevant Departments and Ministries of the Government, but in coordination with organisations such as the DAE and DRDO and more recently, with ISRO. There is a need, in my view, of the Defence and Services to also be involved, if not during the negotiations themselves, but at the very least at the time of policy formulation. The final decision maker will always remain at the political level, but the inputs from the foreign policy, scientific and military communities need to be made available to that level to enable fully informed political decisions to be taken. I will revert to this issue later. The CTBT negotiations may be seen as one such occasion when the different view-points were made available and the coordination between MEA and the DAE was seamless. It is important to recall, however, that at the time, India was still under sanctions; international cooperation on the science involved was constrained, equipment and technologies restricted. This necessarily had an impact on India’s approaches, not only political and scientific, but psychological as well. Trust and cooperative approaches which are essential to the commencement of any negotiations, was spectacularly absent. Of course, the question immediately arises as to why India favoured participation in the process which she did in 1993 by supporting the UN resolution calling for the negotiation of a Comprehensive Test Ban Treaty by the Conference on Disarmament in Geneva. The answer would seem to reflect the global geopolitical and national politico-economic situation India was faced with at the time. At the global level, the US, supported by all NATO countries, had clearly identified the need for the early conclusion of a CTBT. Let me quickly put in a caveat-My narrative necessarily reflects my own conclusions as a non-scientist former diplomat, conscious that I am addressing an audience of scientific experts. The Cold War was over, and the impact of the collapse of the Soviet Union and the first Iraq war in 1991 was still being felt by the world. The US had emerged as the single super power. In the area of nuclear diplomacy, several factors appeared to be at play in the US decision to push for a CTBT and an FMCT on a priority basis: The Preparatory Committee meetings for the 1995 NPT Review Conference were underway where, while the emphasis by the non-aligned countries was on nuclear disarmament and the start of negotiations on a CTBT, the focus of the US and its Western allies and other members of the P-5 was the indefinite extension of the Treaty. It was important enough for the US to have pressured India, in bilateral discussions, in spite of the fact that India has never participated in the Review Conferences or the Preparatory Committees of the NPT, not to try to influence the Non-aligned to object to the indefinite extension of the Treaty. It would be normal for the US to want to convince the Review Conference that it was serious about long standing demands of the Non-aligned countries, for a ‘standstill on nuclear testing’ (this was a proposal made by Prime Minister Nehru in 1954) and a ‘freeze’ on the production of fissile materials for weapons purposes as steps towards the elimination of nuclear weapons, if it were to be able to give the proposal for an indefinite extension of the NPT credibility. It is quite another matter that the demands of the Non-aligned countries were always addressed to the P-5 nuclear weapon States and not all States, most of whom were in any case covered by the NPT. In addition, there was considerable pressure, in the absence of a CTBT, for an amendment to the Partial Test Ban Treaty, a move that had been opposed in 1991 by the US and UK. Apart from this global dimension, the US had been expressing its concern at nuclear developments in the subcontinent. As narrated in a book The Nuclear Express by two US nuclear scientists, Thomas Reed and Danny Stillman, on May 26 1990, China conducted a nuclear test on its Lop Nor test site for Pakistan. Reed was a weapons designer from the Lawrence Livermore National weapons Laboratory and Stillman , a former Director of intelligence at Los Alamos National Laboratory. Under a Sino-US arrangement, Stillman toured guarded nuclear sites in China and Russia and was witness to the test. Reports of the test occasioned, according to K. Subrahmanyam, the visit of US Deputy National Security Advisor Robert Gates to India and Pakistan in May 1990. However, George Perkovich in his book India’s Nuclear Bomb ascribed the visit to US intelligence reports that Pakistan had started work to manufacture a nuclear weapon, in the midst of a tense Indo-Pak situation in Kashmir. Concern over the development of Pakistan’s nuclear capability (and probably, China’s role in the programme, would have been a factor in the US push for a Test Ban Treaty which would, as stated by the Head of the US ACDA, John Holum, “stop countries on the learning curve”. However, in a conversation with me during the CTBT negotiations, Holum had said the US focus had been on constraining Russia and China. Other factors no doubt played a part-the US (and therefore the UK, which used US sites for its tests) had declared a moratorium on testing in 1992, as had the USSR in 1990, and US President Clinton was seeking re-election in 1996. For India, who at the time was facing critical challenges domestically, the force of the US persistence for a CTBT to cover all States, including the ‘threshold’ States became a formidable challenge. India had more or less declared herself a ‘threshold’ state in 1988, in the Rajiv Gandhi Action Plan which had been presented to a UN Special Session on Disarmament. Clearly, the decision to weaponize had already been taken; however, she supported the CTBT as a non-nuclear weapon State, not a member of the NPT and under sanctions. While both Israel and Pakistan had the same ‘credentials’, the difference lay in the fact of the US’s unacknowledged support for Israel’s nuclear programme and China’s active support for Pakistan’s. The US also, for unconnected strategic reasons (Afghanistan), had indirectly supported the Pakistani programme by permitting it to grow in the 70s and 80s without any overt dissuasion. This has been chronicled by several US authors. However, the political leaders were faced, at that time (the 90s) with twin crises: Indo-Pak tensions and turmoil in J&K and an economic crisis of massive proportions. I have already referred to the first; the second was due both to the collapse of the Soviet Union in 1991 and to the impact of the first Gulf War. The emergence of the Russian Federation under Yeltsin saw India losing not only one of her major markets, but of the potential support of the Soviet Union in the UN Security Council, if the need for support arose. The Kuwait war of 1991 saw India lose two of her principal sources of oil imports, and, in addition to the expenditure on the evacuation of over 1 lakh Indians from Kuwait, the loss of their remittances-all factors led to a balance of payments emergency. We were forced to mortgage our gold holdings and had even considered the sale of our valuable real estate assets abroad-our Embassies. This led to our applying for a bridging loan from the IMF. The fear of a US veto in the IMF was, according to Karnad in his above mentioned book, a quid pro quo deal with the US to support the start of CTBT negotiations. It is, however, not at all clear whether the deal, if there was one, was linked to a postponement of testing or support of the CTBT or both. In the event, it is more likely that PM Narasimha Rao was ‘buying time’ for testing by engaging in the negotiations for a CTBT. He was no doubt aware that a large number of scientists, particularly in the DAE, opposed a CTBT in any form, as did the defence establishment. I would recommend that anyone interested in the discussions military, scientific and political at the time, refer to Karnad’s book (pages 370-397). This also contains information on the negotiations themselves, based largely on interviews with me, soon after my return from Geneva to India in 1997 when my memory was still fresh. I do not intend to refer to the entirety of the negotiations, but to focus on the two vital areas where the interactions with the DAE became direct. I have sought, so far, to describe the role of science and scientists as well as the military, in the adoption of our approach to the start of negotiations on this Treaty. However, one has to hasten to add that there is little that is the public domain to indicate whether there was coordination among these advisors to the PM, though there little doubt that since 1984, there has been such coordination, though the involvement of the foreign policy establishment appears to have been absent during those years. There is certainly no consolidated brief in which the strategic and scientific implications of the Treaty were spelt out. This was probably due to the fact that the various departments work in silos, though MEA has, for decades, had an officer working in the DAE, and it might be added, in the Ministry of Defence. Since MEA deals with the diplomatic side of our security interests, more working level and regular consultations might make the departments more aware of foreign policy situations which India might face and her international interests, and vice versa. Excessive secrecy, too, has remained an obstacle to such coordination; though it might have been justified in the early years, and with the sanctions regime, closer interaction should be possible today. During the CTBT negotiations, the Chairman of the DAE, R. Chidambaram, was deeply involved, particularly on the issue of the scope of the ban that was being envisaged, in Article I of the Treaty. The delegation was also strengthened by the addition of a scientist, Vijay Kumar a seismologist from BARC, to deal with the technical issues in Article IV and the protocols relating to verification, decision- making in the proposed Executive Council of the CTBTO, on the need of on-site inspections, and the International Monitoring System, in which India had agreed to participate offering two seismic stations for inclusion in the global network being set up to detect explosions. The delegation had, with other members of the group of developing countries (G-21), to face the “triumphalism” of the P-5 and NATO members after, from their point of view, their success in the 1995 Review Conference of the NPT, which agreed to the indefinite extension of that Treaty. This resulted in parallel negotiations among the P-5 on issues of disagreement between themselves, with information presumably being passed on to NATO members of the Western Group. Within days of the adoption of the final document of the NPT Review Conference, China conducted a series of tests between 15 May and 17 August and then declared a moratorium. France followed suit by conducting six tests between September 1995 and February 1996 and several countries expected India might test, as the shafts at Pokhran, India’s only testing site, saw some ‘maintenance work’ in 1995. Though India denied any intent to test, warnings of dire consequences if we did were made by US representatives. The Chinese and French tests certainly had a significant impact on India’s approach to the CTBT negotiations and indeed, on the support of the Treaty from G-21 countries. By this time the negotiations on the main elements of the Treaty were complete in all but name,. The scientific community’s, and indeed the country’s strategic and security establishment’s concern that India might in fact be ‘trapped’ into a Treaty that would close our option would have been a major element in the decision to withdraw India’s support in early 1996. Once the negotiations started, the DAE became a focal point for consultation and coordination with the MEA, and indeed, for providing not just advice and inputs, but interaction and participation in the negotiations themselves. This occurred in two vital areas- the identification of the scope of the Treaty (Article I), which would indicate what was to be prohibited, thereby ensuring the non-discriminatory nature of the Treaty, which was insisted on by India, other G-21 countries, the agreed upon ‘mandate’ of the negotiating body and the UN General Assembly. The other, equally complex and controversial area was that of verification of the Treaty (Article IV) and the several related protocols attached to this Article. I do not intend to give a description of the details of the actual negotiating process, but an illustration of the intermeshing of science policy with the essentially political nature of the Treaty. As I have already mentioned, there was close interaction with the Chairman of the DAE on Article I, indeed to the extent of the negotiators adopting his various formulations as amendments to the language being proposed. This language was based (by the Australians) on that of the PTBT, which had banned ‘any nuclear test explosion in the atmosphere, under water, in outer space or in any environments where debris might affect the environment. The crucial word was ‘explosion’ as the G-21 countries became aware that testing could be conducted in laboratories through sub-critical tests and computer simulations, and that hydro-nuclear tests of very small yields would be possible for those countries which had the technologies to conduct them. The delegation arranged, at the request of the US delegation, a bilateral meeting with Dr Chidambaram on the subject of sub-critical tests. India’s position evolved into demanding a ban on ‘all tests’, reflecting the initial position of the G-21. Interestingly, Pakistan, which was working closely with the Chinese delegation, supported the Australian formula when the Chinese accepted it, on the grounds that a ‘flawed’ ban was better than no ban at all. Given the global power situation at the time, the Australian formula was finally accepted, except by India. In India’s view, the Australian formulation made the CTBT into a discriminatory Treaty, based on a division between States, based on scientific knowledge available to countries at the time. It is understood that the US agreed to make available data of such non-explosive tests to China, to persuade them to support the Australian text. In an effort to find some degree of common ground, the title of the Article was changed to ‘Basic Obligations’ from the more expansive ‘Scope’, implying that the basic obligations could be added to, if found necessary, obviously by any member of the P-5. The other area of intensive coordination and consultation was in the Article on Verification-Article IV. Through the years 1994-95, India had contributed to the discussion by providing two Friends of the Chair (FOCs) of two important Working Groups that had been set up by the negotiating Ad Hoc Committee- Ajit Singh, who participated as FOC on two separate Working Groups, including one on seismic verification, and Navtej Sarna, both of whom were Counsellors in the delegation. Vijay Kumar of BARC participated in the discussions on seismic verification. India had proposed two seismic monitoring sites as a part of the International Monitoring System that was set up and is today functional. India withdrew both sites from the IMS in consultation with the DAE, when attempts were made, in the Entry into Force Article, to force India to be party to the Treaty after she had announced her opposition to it. It should be noted that apart from seismic stations, three other non-seismic forms of verification were eventually accepted- radionuclide, hydro acoustic and infrasound technologies to detect nuclear explosive tests. Data from national technical means would also be accepted and on-site inspections would be conducted of the suspected locations after a decision of the Executive Council. DAE had, perforce, to be involved even on the organizational side of the negotiations. Being under sanctions at that time, our access to much and many of these technologies would have been restricted, curtailing India’s closer involvement in those discussions. Once the trends had become set and it was clear that the Treaty would not be in our interest, mid 1995, instructions from the highest level were issued and ‘markers’ laid down of our growing opposition to the Treaty, and Mr. Chidambaram started the sending of the message through a speech in the IAEA in late 1995, followed by the Foreign Minister speaking at the UN General Assembly two months later and finally, by the PM himself at a speech to Nonaligned countries at Cartagena immediately thereafter. All indicated our dissatisfaction with the Treaty as it then stood. 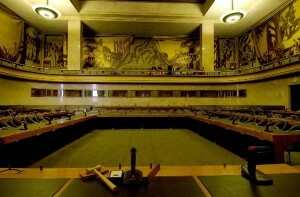 We finally made our statement to the Conference on Disarmament in June 1996 disassociating ourselves from the CTBT. Even though there was no consensus in the CD, Australia and Belgium by a sleight of hand, transferred the text of the Treaty unapproved by the CD, to the UN General Assembly, where India had no option to vote against it. Before concluding, I have to refer briefly, to what was perhaps the major reason why India objected to the Treaty, the issue of non-inclusion of any serious commitment by the five NPT-recognized nuclear weapon States to take substantive steps to nuclear disarmament. India had been supporting the cause of a world without nuclear weapons for decades. Many doubted our sincerity in espousing the cause, perhaps because while there were declarations at the highest levels there were no developments on the ground, for example, through serious enquiry into how nuclear disarmament would or could be implemented, what measures needed to be taken to prevent clandestine weapons manufacture, and perhaps because India had always simultaneously insisted on keeping her nuclear weapon option open. Whatever may have been the case, India’s endeavour was to elicit a public and legally binding commitment by the nuclear weapon States to move decisively towards nuclear disarmament. Apart from the moral argument against nuclear weapons and the discriminatory nature of the existing nuclear regime, however, it was felt that our national security needs would be better met in a nuclear weapon free world. This approach became acute when the 1970 NPT accepted China as a nuclear weapon State, even after India had protested during the negotiations of the NPT that India faced the threat of nuclear blackmail from that country. With India faced with other perceived nuclear threats (e.g. in 1971) and later information regarding Sino-Pak collaboration on the building up the latter’s arsenal as sketched out above, the choice between the need for concrete action towards nuclear disarmament or exercising the option to weaponise became imminent. At the CTBT negotiations India presented amendments for a ‘time-bound commitment for nuclear disarmament’ which we could have accepted in any one of the substantive Articles. Ultimately, the G-21 countries’ discomfort with the opposition to nuclear disarmament led to the acceptance of a vague formulation, but only in the Preamble of the Treaty. The indefinite extension of the NPT had sent a message to India and other members of the G-21 that the P-5 would not accept any meaningful reference to nuclear disarmament in the Treaty, bringing India closer to her decision to protect her security with a weapons programme. I am aware that there has been some criticism of our negotiating process and strategy-that we lost sight of the ‘bigger picture’ and our ‘principles’ while getting lost in the details of the technical aspects of the process. From my point of view, as I have already said, the CTBT was a political-scientific Treaty with strategic implications. Negotiating the ‘details’ was important in itself; however, it also served the purpose of signalling to other negotiators our intent and policy, not just to the G-21 countries, but to the US and even China and Pakistan. For example, we worked with China in the initial stages, even holding, at their request, bilateral delegation-to delegation consultations; however, we were under instructions not to be confrontationist and hostile to the US, and I believe this was achieved when we broke with the Chinese on the issue of the use of NTMs, (national technical means), by the IMS and supported the US on other issues where our core interests were not involved. I would propose that NIAS could carry out a scientific-strategic study on verification techniques and technologies, including what might be necessary in the event of the complete elimination of nuclear weapons. As I have stated, these recommendations are based on fairly dated experiences, but some may still have validity. I commend them to you. Ambassador Arundhati Ghose joined the Indian Foreign Service in 1963. She was India’s former Permanent Representative at the Conference on Disarmament and headed the Indian delegation at the Conference on Disarmament, Geneva in 1996.